All on a midsummer’s morn. In Oak, and Ash, and Thorn. 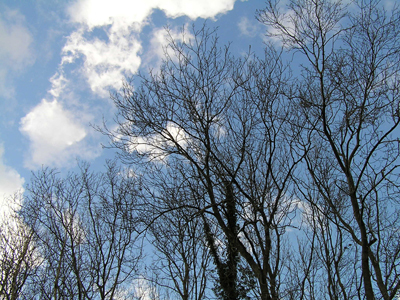 My back garden – my world – is full of ash trees. 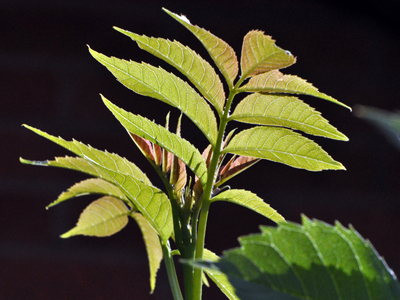 And I fear for them, as the threat of ash dieback disease is growing in the UK. 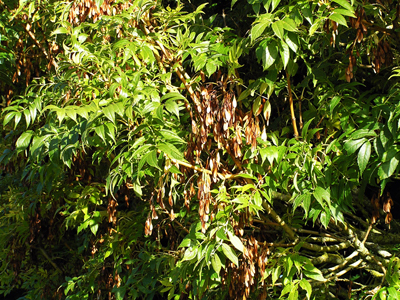 This is caused by a fungus called Chalara fraxinea, which leads to leaf loss and crown dieback – and usually tree death. This disease was first identified in Poland in 1992 and spread quickly. It apparently entered Britain on plants imported from nurseries in Continental Europe, but its presence in some old trees near the East coast of England suggests it may have blown here across the Channel or been brought in on travellers’ shoes or cars. For now I will just pray my trees stay safe. We are a long way from the coast, the winds are south-westerly here and I hope we are not near any infected plantations. 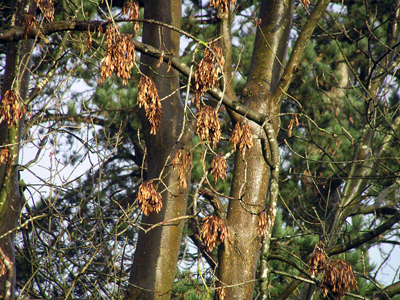 I’m not even going to look for death in my trees – but if you are interested, you can read all about the disease on the Forestry Commission site. 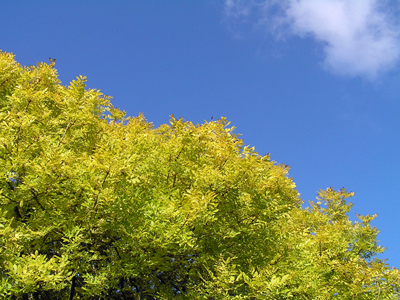 In this post I will just celebrate the ash tree (Fraxinus excelsior) while I can. As the folk song at the top of this post suggests, oak, ash and thorn are considered to be the most native of trees in Southern Britain. You can hear a version of the song by the wonderful Peter Bellamy here. I do love Peter Bellamy’s voice, which I discovered through my folksy friend Christine when I was in my teens. I assume the thorn of the trio is hawthorn (Crataegus monogyna) and the oak (Quercus robur) is England’s national tree. The mix of these three species varies from region to region but here in South Wales the ash seems commoner than the oak. Further west in Carmarthenshire you see far more oak and there is even a song called The Old Carmarthen Oak (hear a version by Ar Log here). I hate to admit that I have always found the ash a rather “boring” tree! It doesn’t have the spectacular flowers of a chestnut. 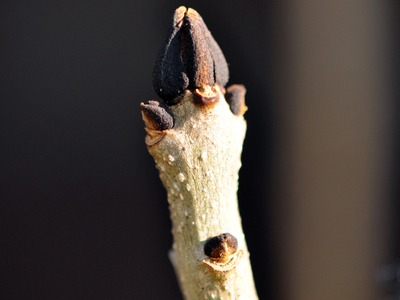 Ash flowers open before the leaves and are dark purple, with no petals. The flowers are female or male, with the female ones a bit longer. Both can be on the same tree, but usually a tree has either one or the other – although it can switch from year to year. 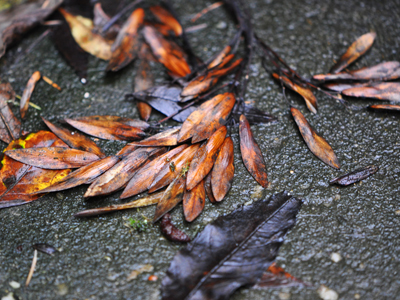 The ash doesn’t even have great autumn colour – usually just yellow and brown. With those eyes, I can see why the ash is believed to be magical. In Celtic tree myth it is home to fairies (along with oak and thorn). In Ireland it is unlucky to fell an ash, lest your home should burn down. 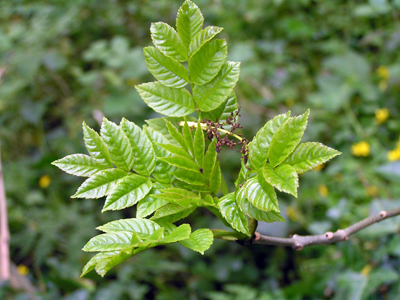 In Britain, the ash was regarded as a healing tree. A child with a broken bone or rickets would be passed through the split trunk of a young ash in a ritual cure. The split was sealed with clay and if the tree then grew straight, so did the limb. Alternatively a shrew could be sealed inside a hole in the ash trunk and when it died the cure was complete. Although the trunk was split especially for that cure, many ash trees grow very close together anyway. I see a lot of “double” trunks, including the biggest ash in my garden, which I think is about 70 years old. We had the crown thinned out a decade ago to ease the weight on it. But in the clothes he does every day wear. I think “even-ash” has no terminal leaflet to its twigs, but all the ash trees I have seen are “odd-ash” with that one at the end. Maybe “even-ash” is like a four-leaf clover? In Druid lore the ash is the world tree, which holds together this world (Abred), with the waters of the lower world (Annwn), the upper world (Gwynfyd) and infinity (Ceugant) beyond. 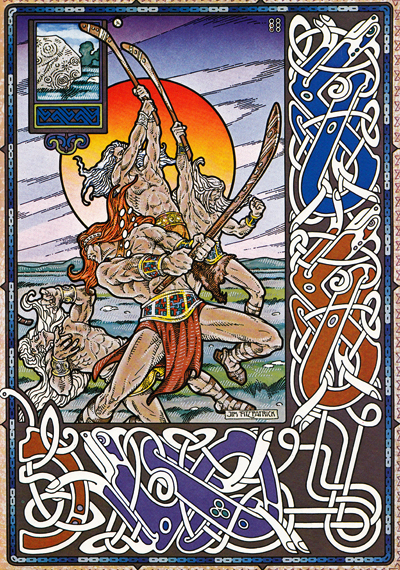 The Celtic or Druidic magician Gwydion also bore an ash staff or wand. In Norse mythology a great ash tree called Yggdrasil binds the world together. The name apparently means “Odin’s horse”, or even a gallows tree. There are many stories associated with it and it is full of various places and creatures. At the foot of the tree sit the three women known as Norns, who spin the destiny of men, like the Fates in Greek mythology. While the basic “world tree” just links the above and below, Yggdrasil bound together not one world but nine, each a small pocket world. Perhaps like planets connected by wormholes. Four stags called Dain, Dvalin, Duneyr and Durathror move about in the branches of the ash, devouring the tree’s foliage and it has been suggested these represent the four winds. Ash wood is strong and flexible and was used by the Anglo-Saxons for their spears and shield-handles. It has also been used for tool handles, furniture, sports equipment, walking sticks, tent pegs, oars, gates and wheel rims. It was even used to make the aircraft wings on the De Havilland Mosquito which flew in World War II. We have lost trees before. I still remember the Dutch elm disease of the early 1970s in Britain. 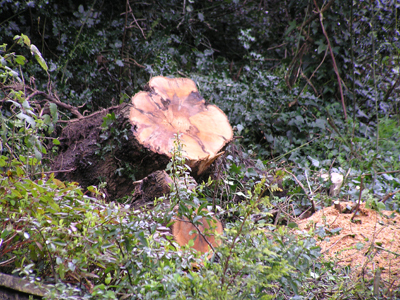 Many landmark trees were felled. But they weren’t in my garden. Ash trees bend in the wind. They often drop limbs but usually don’t fall. 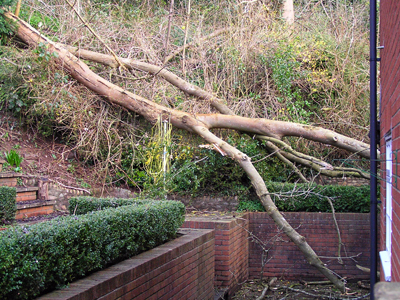 Having said that, we have seen two ash trees fall in gales in neighbouring gardens in the last 20 years. One big one fell in November 2001 and one smaller one in March 2008. Let’s be of good cheer for now but end with another song – a sad song. In Welsh the tune is called Llwyn Onn. In translation that’s The Ash Grove, although I always think of it as The Lonely Ash Grove. You can hear the tune played on the harp here or Peter Pears singing it here. Below are the words sung by Peter Pears but there are many versions of the lyrics and you can see a very different one on the Scout Songs website here. I first met that my dear one, the joy of my heart! Fascinating post. Like it that you’ve not tried to jazz up the tree beyond what you think of it. I find the flowers quite repellent and am glad when they are over. But the ash-dieback disease is a real worry. Like you, I don’t understand why we need to import ash. Even more bewildering is why we carried on importing it when we knew it might bring disease with it. 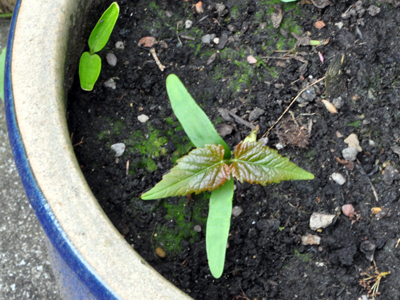 I saw a snippet on the television that showed how descendants of naturally disease resistant ash trees in Holland (I think in Holland) are being used to replace the trees which have succumbed. Thanks so much for commenting. What upsets me most is how long a tree takes to mature. If I lose all mine it will leave such a big hole – and I won’t live long enough to see it filled. I genuinely have nightmares about looking out on an expanse of sawn-off tree stumps. An interesting post. Like you I used to find Ash trees uninteresting but since the threat of Ash Dieback I have been taking more of an interest and have come to recognise their beauty and will be a great loss to the British countryside. Thanks for your comment, Chris. I see you have also written about old woodland recently (here’s the link for those who are interested) – and I am now following your photoblog. Some interesting things there – I can’t believe the good quality of your old family pictures – in colour – from the 1950s! Thanks as always, Shaz! And I’m learning myself as I write these posts, or at least bringing together all the things I half know and checking on them. By the way, I am currently half-way through The Movement of Stars by Amy Brill, based on your recommendation on Jera’s Jamboree. I will pop over there to comment when I have finished reading it. Wonderful post full of some much information and photos, I have learnt so much . I loved the songs too especially the Carmarthan oak. Thanks so much, Sarah. I wasn’t sure if anyone would bother to follow the links to the songs! The name of the band singing the Old Carmarthen Oak is Ar Log, which means “For Hire” in Welsh, although it sounds like it should mean something far more romantic. I love your latest pictures from Axminster & Seaton in Devon – especially the town crier on the beach! 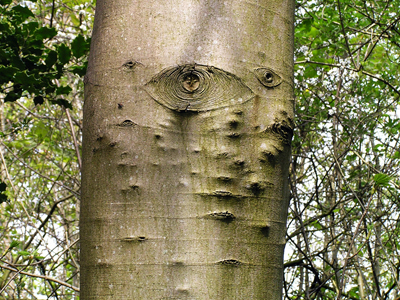 I’m delighted to see your celebration of our lovely native ash trees. Fingers crossed for your own beautiful specimens. I know how you feel about not wanting to check them, I mean what do you do if you find they’re afflicted? They are such an intrinsic part of our Island’s natural heritage, their total loss would be heartbreaking. Thank you too – I don’t do Twitter, my son keeps telling me I should give it a try, do you find it worthwhile or useful or …what? Without Twitter I wouldn’t have been able to publicise my blog when I started off. That was the main reason for joining it. I do occasionally go whole days without tweeting. One of the keys to reaching people is “hashtags”, so that if I put the hashtags #nature or #wildlife or #wales or #trees on a Tweet, it would attract attention from people who search for these tags in a “saved search” or people who put together paper.li “newspapers” that people follow. Some of these bring together everything with a certain tag, etc. Most of what I do is retweeting links to other people’s good things or tweeting links to news stories that interest me. As I also copy and paste a record of all my tweets into a Word document, it means I have a permanent record of things that interested me. Of course I do also sometimes say “what I am doing” and have conversations with people. Hope that helps. I’d like to be able to give a mention to your twittername when I send out a link to your blog posts, but only if you have some worthwhile twitter presence you are happy with. as it happens, we inherited two 30 year old ash trees when we bought this plot. The words of the Ash Grove that I recognise are the Scout not the Britten. An American garden blogger has been talking us thru felling half of her ash trees, with much heartache. But she is planting native/indigenous trees for her wildlife and finding a way forward. Thanks for the slight reassurance that there is always hope for the future. I have accepted many changes in life, especially at work over the years, but this “replacing the ash trees” idea just seemed a step too far, if I ever I needed to take it. 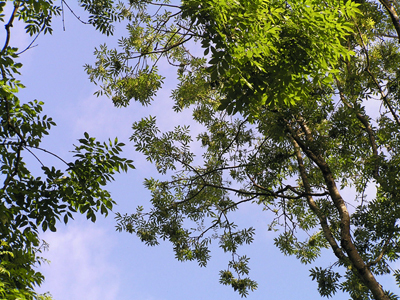 on July 13, 2013 at 5:52 pm | Reply THE MYTH MAKER – The world-binding tree [04Jul13] | Ash Dieback MONITOR ..
It’s useful for me to know what ash looks like, as it’s one of the trees I struggle to identify. The eyes are pretty. Fingers crossed for your trees. Hi, firstly great article, secondly I hope your trees are doing well? 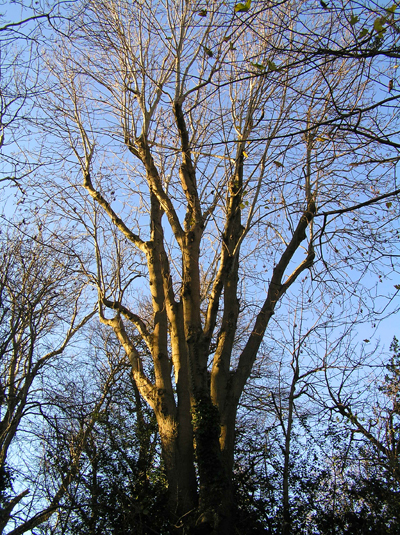 I have been looking through the web for help of where to find the best old Ash trees in south Wales and came upon your article. I was wondering if you could suggest the best places around this area to photograph Ash trees? The older the better, I’m looking for an epic image for a project steeped in Norse folklore and mythology. Any help or suggestions of such trees you know of would be very much appreciated. I’d be interested to know how you get on with your project! Just saw your reply now, thanks alot!